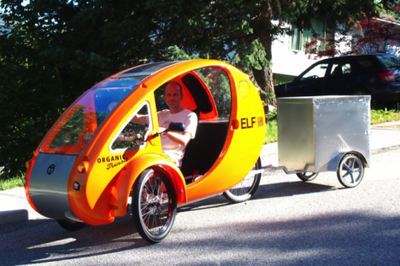 If you look at our "Cargobikes 101" page, you will notice the deep legacy of the cargobike as a commercial vehicle in cities and towns throughout the world. The business cargobike is now poised for a major comeback and the time couldn't be more right. 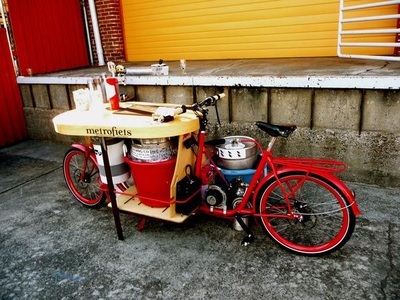 Here are some of the models we'd love to have in our fleet. 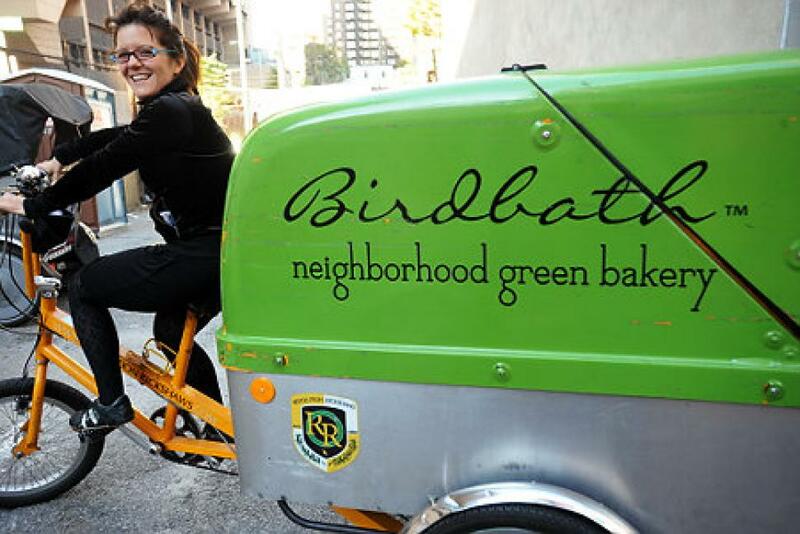 Also check out our VBike Fleet page and our pages about bikes for families, seniors, and commuters. B-Line in Portland, OR uses a fleet of Cycles Maximus e-cargotrikes all about the city. 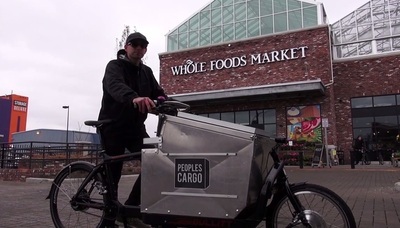 Peoples Cargo using the Bullitt e-cargobike to delivery groceries for Whole Foods in Brooklyn. 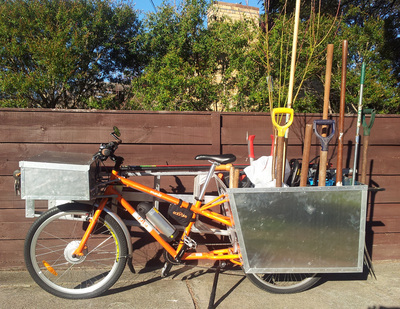 The Yuba ElMundo makes for a great gardener's business bike. 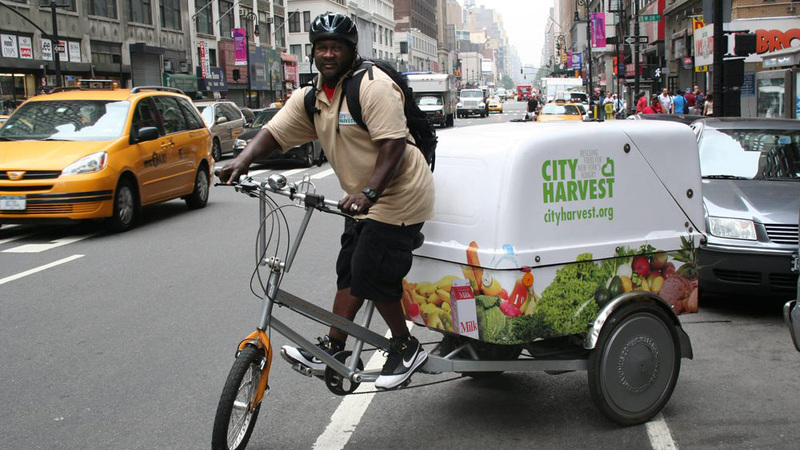 City Harvest is using a fleet of the trikes for food pickup and delivery in Manhattan. 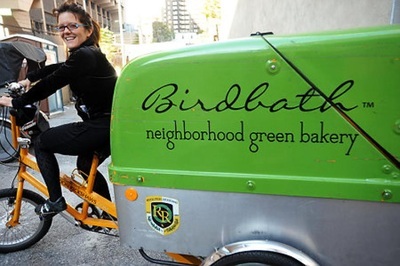 Birdbath Bakery is also using the Cycles Maximus cargotrike in Manhattan for delivery. 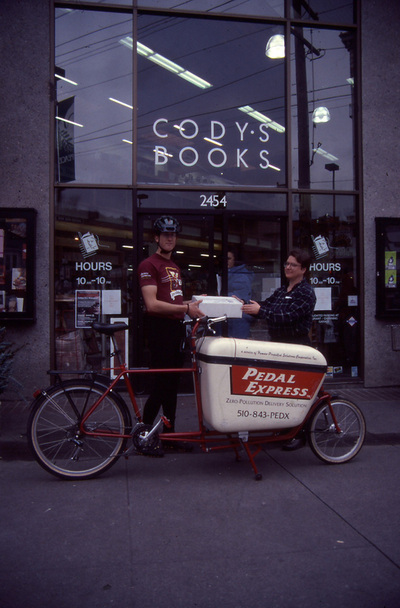 Pedal Express in Berkeley, CA has used Long John cargobikes for the past 20 years. The ELF shows up in every category. 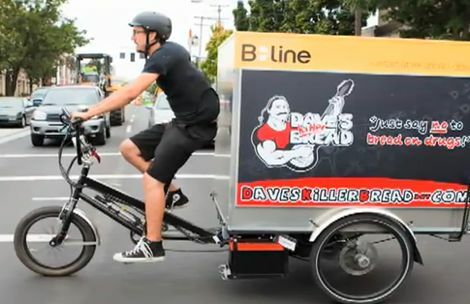 This one is used by the Uphill Bakery in Canada. THis E-Bullitt is one of hundreds in Germany. 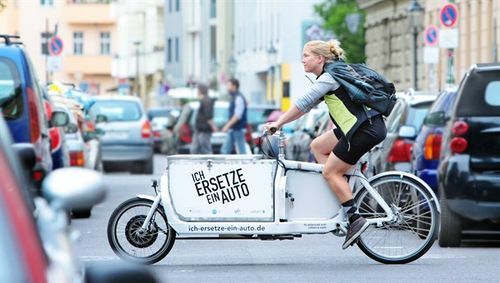 The container reads "I Replace a Car." 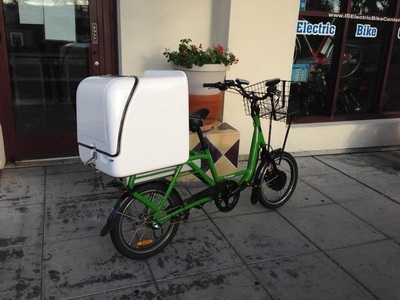 This nice compact cargobike from Jucied Rider makes for a great pizza delivery vehicle. Portland loves their brew and so Metrofiets made this amazing beer bike. 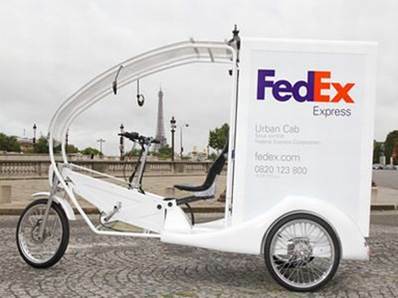 FedEx & many others businesses are trying out the new generation of trikes in Europe. 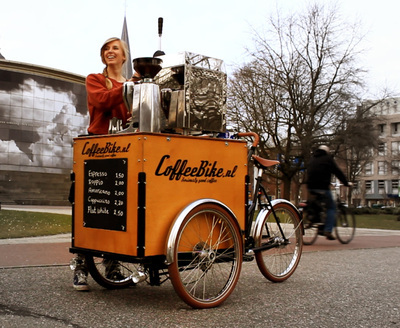 Coffee tastes great on this bakfiets style trike.